Zash Caine (ザッシュ・ケイン Zasshu Kein), the Kingdom of Stella's minister of state and a practitioner of black magic, infiltrates the Kingdom of Fiore and steals the Dragon Cry, a mystical staff discovered in the dragon graveyard beneath the capital city. 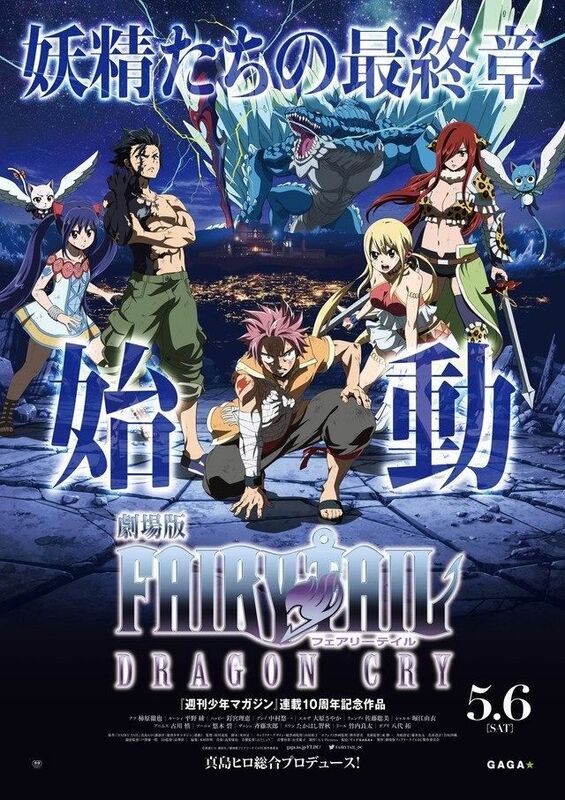 Fiore's royal family enlists Natsu Dragneel and his team from the Fairy Tail guild to recover the staff, detailing that it is imbued with magical power capable of annihilating the kingdom. The wizards follow Zash to Stella, whose ruler, King Animus (アニムス Animusu), intends to use the staff for a ritual. Upon touching the staff, Natsu triggers an alarm and attracts Zash's attention. Eventually, Fairy Tail is defeated by Zash and the kingdom's elite wizard unit, the Three Stars, who place them under arrest and take the staff back. Read more on Wikipedia.